These mice serve medium to small hands but in general the FK2 feels like a smaller mouse due to its lower height. 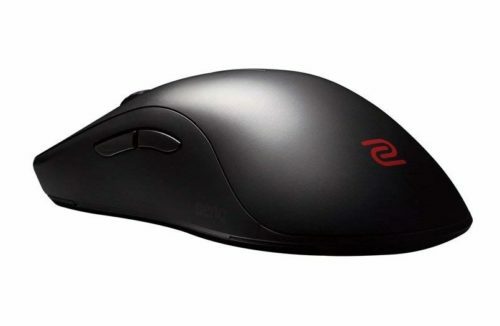 The FK2 is an ambidextrous mouse, while the EC2 is an ergonomic shape. Both of these mice are supremely comfortable and there isn't a clear favourite in this department. Buttons are a wash, they both feel the same. The FK2 sensor unfortunately is worse than the EC2-B, advantage EC2. Taking out any shape preference, I'd blindly recommend the EC2 over the FK2 due to sensor differences.